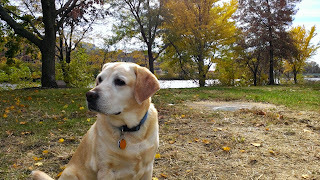 By Lab, of course, I mean my yellow lab Mindo, pictured during this morning’s walk along the Iowa River. Look carefully and you’ll note a few important things: (1) She is alert, poised, vigilant for any potential threat (including, in her case, a random squirrel or rabbit); (2) She nonetheless appears calm. 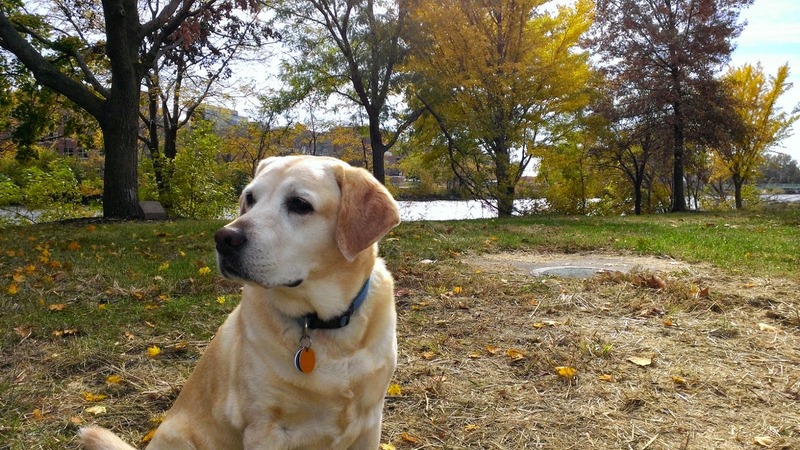 She understands that loud barking, tail-chasing, and similar behaviors are wastes of energy, counterproductive, foolish; and finally, (3) She is a dog, and probably doesn’t know anything about filoviruses. How does this inform Ebola preparedness? We similarly must remain calm as we continue improving our preparedness, and increasingly we must differentiate between appropriate readiness and counterproductive overreactions. Most efforts currently being made in US hospitals to improve preparedness, particularly those directed toward screening and triage, are absolutely necessary and on target. The nonsense we’re hearing about border closings, quarantine of asymptomatic individuals without documented exposures, closing of schools, diverting of cruise ships—it’s all the equivalent of nuisance barking and tail-chasing.